The asteroid hit, the GOP looked around, and they noticed for the first time they were dinosaurs. Even Bill O'Reilly, in his own hapless way, got the message. 'It’s not a traditional America anymore,' he lamented, meaning that he'd just noticed that people who aren't white, wealthy wasps can also vote. Not only that, they are voting for the other guy. You can say what you like about Republicans but you can't call them stupid. When O'Reillysays 'traditional' he means 'white' of course. So do most of his viewers. 'It makes me wonder who my fellow citizens are. I've got to be honest, I feel like I've lost touch with what the identity of America is right now. I really do,' so said Boston Republican voter Marianne Doherty to the Washington Examiner. I expect there'll be a lot of pearl clutching like Doherty's going on in the coming months in conservative circles. Not everyone in Republican circles wants to rub their fingers down on the fiery braille of Tuesday election bust just yet, however. Some instead are simply seeing it as a call to arms. The candidates and policies weren't conservative enough, they cry. On his increasingly paranoid talk show Glenn Beck observed that 'the body of America is even sicker than I thought it was' and declared that he no longer knows who Americans are. For these people, there is no help, but it's instructive to hear them debate each other in the wilderness where their divisive, bigoted rhetoric and ideologies will always lead the GOP. A decade in the echo chamber of Fox News and Glen Beck and Sarah Palin and Sean Hannity and evangelical political focus groups like Focus on The Family and the National Organization for Marriage have led the GOP into an anti-women, anti-gay, anti-science, anti-intellectual, mirage. Americans don't want to live in that 'traditional' mirage. 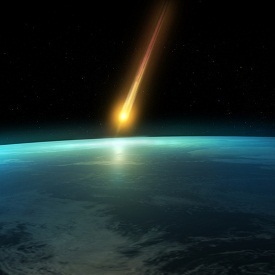 The asteroid that hit the GOPon Tuesday sent them a memo too: they're dinosaurs. For two centuries 'traditional America' has been successfully sticking it to non-traditional America, meaning people of color and women and gays. On Tuesday the bill came due. This is the brave new nation we're leaving in. Platitudes and scraps from the table aren't going to win you the presidency ever again, gentlemen.